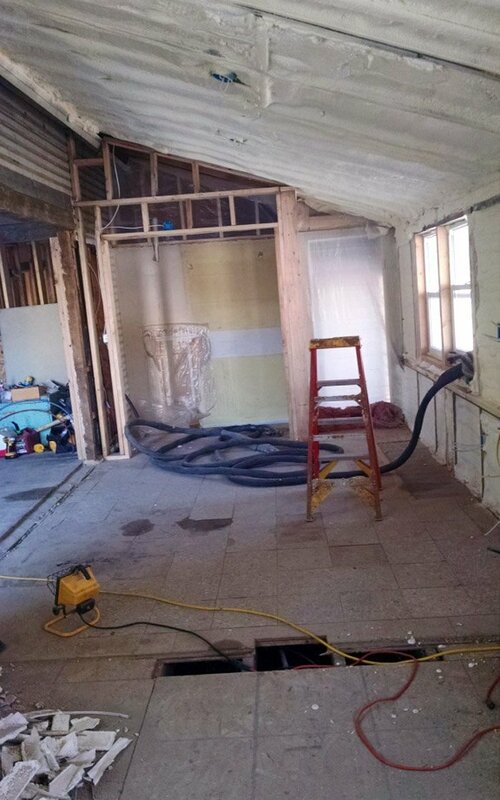 By far the largest single purchase I made when renovating my home was $9,000 for spray foam insulation. I think everyone thought I was nuts especially because if I had purchased the bat insulation instead I could have installed it myself. But there were several factors that made my decide on the spray foam and it wasn’t just because it was considered the best in the industry at the time. I live in an old home so unless I wanted to add even more wood to my walls to make them deeper I was dealing with only FOUR inches of depth for insulation. 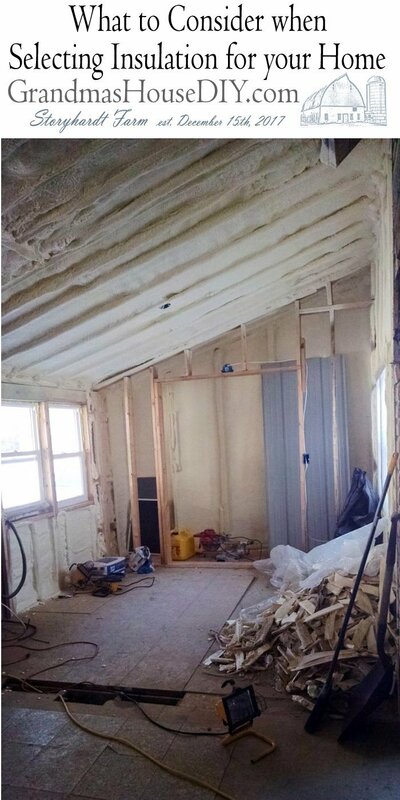 Nothing will give more bang for the buck than spray foam in small spaces. Strength. One thing no one thinks about or talks about when it comes to insulation is that it can actually add strength to your ceilings and walls. The reason no one mentions it is because only spray foam does this. And because I live in an old house I figured any extra strength I could add would be a good thing! I have no regrets spending so much money on insulation, it costs me very little to heat my home or keep it cool in the summers. If I went back and did it all over again I would still choose spray foam! Just like any other home requirement like furniture, picking out insulation must be done carefully to make sure you come out with a solution that makes your house comfortable and safe. You do not want to merely select something below your preferred standard which you may regret in the future. It is correct to note that insulation stays unseen and by insulating your home, you are performing a very integral part of reducing your energy bills. But you need to know that not all insulation is made equal. Adding great insulation such as spray foam can make your home soundproof. With insulation, you will have not only made your home indoor climate conducive and reduced your monthly energy bills but also will have taken control of your indoor environment. Your home will be free from annoying noises such as dogs barking outside and noisy traffic. See, you might have heard that any insulation is beneficial. But you need to make sure that you pick the one that poses the least danger to those living in your home. So, you must be careful about the lurking threat you are about to install in your house walls. It is always a good idea to ask your contractor to give specifications of the insulation you intend to purchase so that you can learn if it is suitable for your needs. If you like an insulation solution that is purely resistant to fire, then it is your choice. Before the innovative insulation types available today such as spray foam insulation, there were traditional materials used for insulation that posed health dangers to consumers. Though some are still used nowadays, you do not want to live in an environment that poses health dangers. You want to choose an insulation that integrates into your walls properly and does not emit any potentially dangerous matters such as chemically treated materials. Insulation provides an efficient way to take control of your indoor climate and keep your energy bills low. In particular, the R-value of insulation gauges heat flow through the material, and it can be a great indicator of which insulation is suitable for your needs. A high R-value translates to low energy bills. So if you pick insulation with a high R-value, your energy bills will go down and vice-versa. Insulation is a smart improvement for your home. And you will have to consider factors such as the ability to be soundproof, its flammability, health factor, and finally its R-value so that you eventually choose an insulation that is great for you. Remember, the cheapest insulation may not always be the best, but your personal preferences too can be a factor and shouldn’t be underestimated. Thanks for helping me understand that we should check the R-value. As you said, this will help our energy bills to go down. I will definitely choose this for the insulation of the house since the main purpose of the insulation is to cut costs regarding our monthly bills because we have noticed that the costs have almost doubled without even adding new appliances in our house. Hi Millie, yeah insulation is definitely something worth investing in for your house and for your bills!